If you do decide to buy unfinished furniture, you’ll discover the great joy of customizing your own pieces, creating stunning new items with designs completely unique to your home. Not everyone will see the potential or wonder of a piece of unfinished furniture, but the fact that these stunning pieces can be completely customized presents a fantastic opportunity for you. There are many advantages to exploring this wonderful new world of products to design and fill your home. One of the main benefits of customizing unfinished furniture is that the product you are working with is going to be bold, rustic and rather elegant. Different types of wood products that haven’t received a finish or a single coating actually look rather fantastic and are sure to capture your imagination. As soon as you see a beautiful piece of unfinished furniture, you’re sure to have a few ideas about how you can customize it. Unfinished furniture isn’t just stylish, it’s cheap too because it hasn’t had all the processes usually completely before a product ends up in the store. As such, you can get classic pieces of raw wood for a low price that just need some fantastic finishing touches. You might think it’s going to be difficult to customize an unfinished piece of furniture. In reality, there are plenty of easy techniques that will allow you to stain, paint or wax your furniture exactly how you want it and create something completely stunning. This can be a great, fun DIY project that will leave you with a final finish you will almost certainly adore. 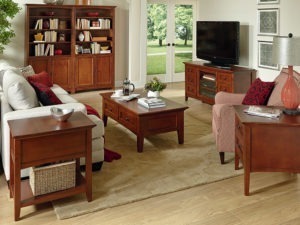 You’ll often find your furniture will be complete and ready for a room in just a couple of hours. You would be amazed at how many incredible pieces of unfinished furniture are available to buy and are ready for you to customize. Raw-wood, dressers, chairs, wardrobes, tables and so much more are waiting to become part of your interior design. 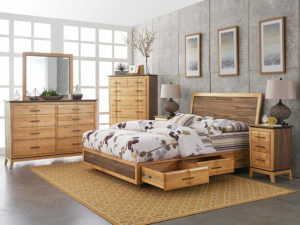 Unfinished Furniture in Wilmington NC has pieces for every room that you can create to match your desired own unique style. We all have an artistic side, but not many of us get a chance to show it on a day to day basis. Customizing unfinished furniture provides you with this opportunity. You can escape the traditional purchase and instead buy something that you can help create and finish yourself. You can discover the pleasure of taking a brush and coating your own piece of furniture by hand, providing a picturesque new piece for your home. There is certainly a great deal of satisfaction when you look at a new customized piece that fits beautifully in with the rest of the room. We hope you see now some of the great benefits of customizing unfinished furniture and taking on a new artistic challenge. It really can make your home design completely unique.